At Animal Medical Center of Cascades, we pride ourselves on providing quality veterinary care. But, don’t take our word for it, hear what our clients have to say. 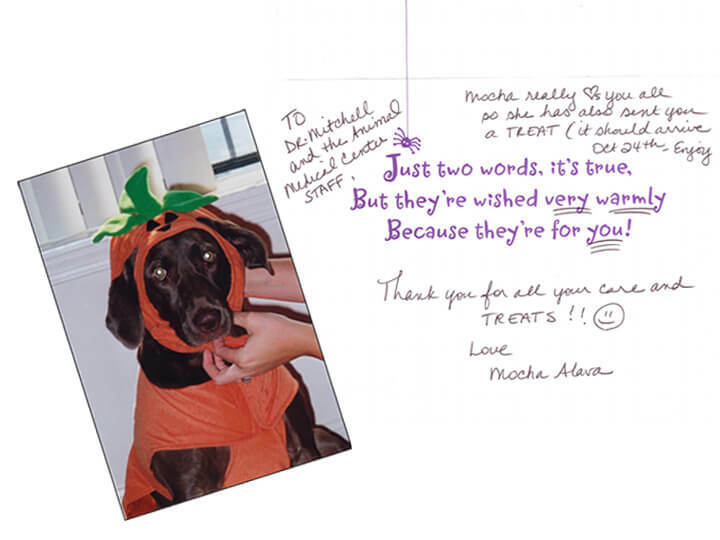 We take our pups to AMC and truly value the care and concern the entire team at AMC has for our dogs. 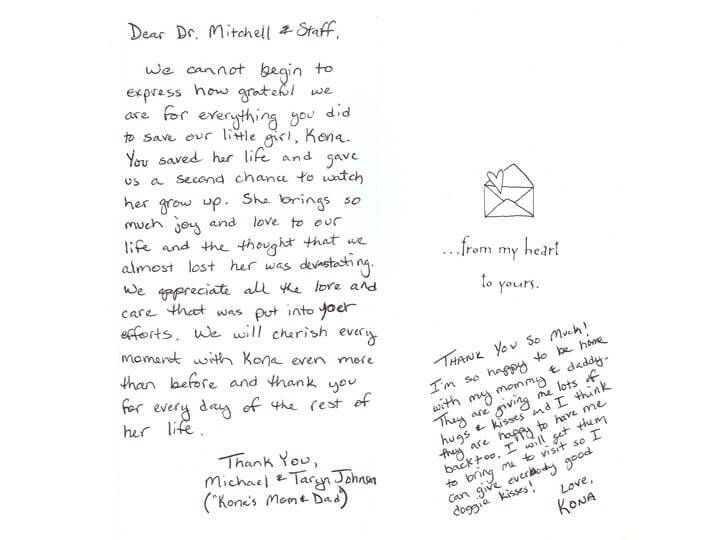 Dr. Mitchell is an excellent doctor and has taken great care of our dogs. AMC is a very special place to care for your pets. I have been coming to Dr. Mitchell and staff for 15 years. I'm always greeted with a friendly and helpful voice on the phone and her staff is so professional. 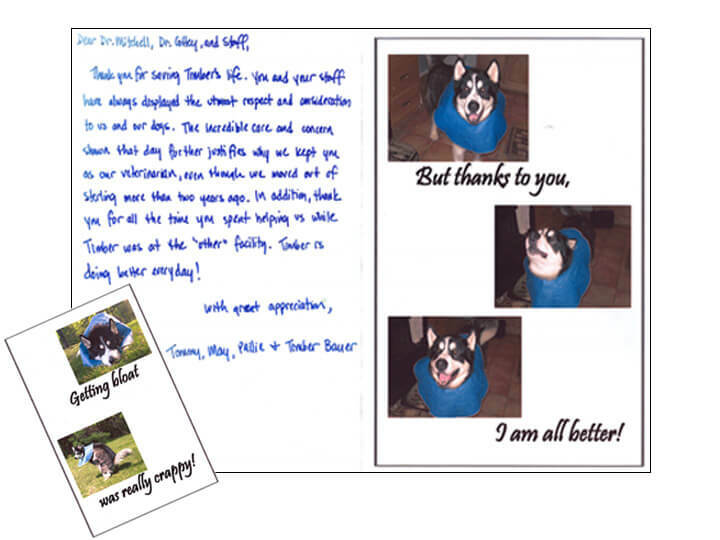 Dr. Mitchell is the most wonderful, caring, and knowledgeable vet. We rely on her expertise and honesty on what is and is not needed. Our dog has surpassed the life expectancy of his breed and we owe it all to her. My family lost our beloved pet several months ago and I can't express how peaceful her last moments were, with the help of the Dr. Mitchell and her staff. They gave us the time we needed to say goodbye. Two cards followed several weeks later, with a wonderful message. Thank you for caring for Misty and giving peace to our family. I have been taking our dog to Dr. Mitchell since she was 8 weeks old. Our pup is now 7.5 years old and we always receive extraordinary care. Dr. Mitchell is an exceptional doctor and her staff is competent and friendly. I have been a client for a few years and cannot say enough good things. Everyone is so friendly, compassionate, and always has the animal’s best interest in mind. My animals love it at AMC! 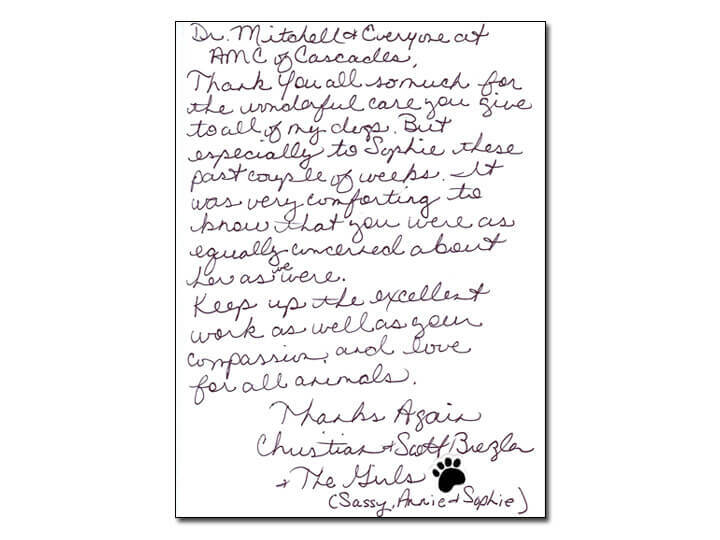 Thank you Dr. Mitchell for taking the best care of my animals! 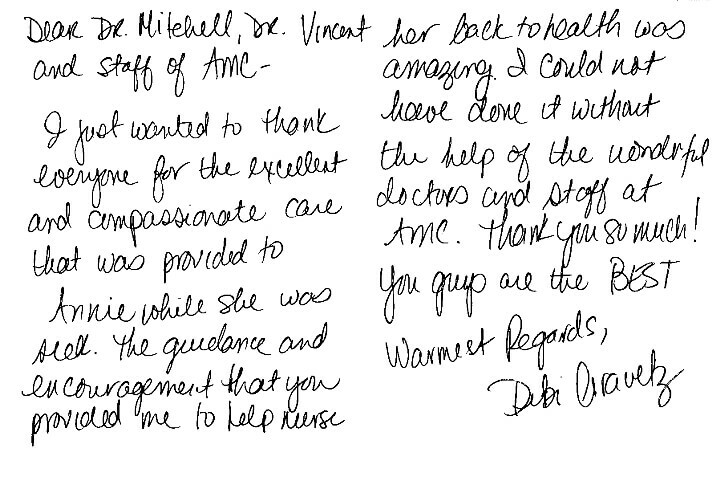 I love Dr. Mitchell and the staff at AMC! She always thoroughly answers questions and gives explanations of what is going on at each visit, whether it is a simple checkup or a surgery. I would not want anyone else caring for my pets. The atmosphere is welcoming, and it is clear that the staff loves the animals that come through their doors. I like coming to the Animal Medical Center of Cascades because they are very courteous and professional. The staff is very good at keeping appointment times. They always treat our cat, Luke, like family.